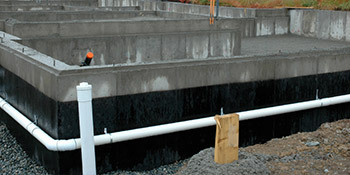 Underpinning is used in construction to strengthen foundations, which otherwise would be dangerous if no action was taken. Underpinning is often carried out to support an extension above an existing room, so the new weight can be supported. This is extremely important to ensure the continued safety of your property, especially in older homes. If you’re planning an extension above an existing room it’ll be worthwhile hiring a professional to investigate the current underpinning. When there is more pressure being placed on the property, the underpinning will need to be improved. The use of the building could have changed, from a house to a shop for example. The ground underneath your property can often change, especially if there has been movement or subsidence. This will put your safety at risk and underpinning will immediately strengthen the building. The building of new homes can cause an effect on existing properties nearby. If there’s a new development it will be worth strengthening your underpinning to accommodate any changes. As the cost of land and property rises, it could be a good idea to strengthen your existing underpinning with a view to improving your home. Adding an extension or even a whole new floor, would require improved underpinning. You and your family’s safety will always be priority number one and strengthening your underpinning will not only add protection to your home, but save you on maintenance costs later down the line. If you’re interested in improving your home’s underpinning, just complete our quick form below and receive quotes from up to four vetted and reputable companies in your area. Still waiting to make another appointment. Phil was in touch immediately and was so helpful in discussing solutions to the problems I had resulting from a leak under kitchen floor, He even fixed my bi-fold door free of charge when he came round to quote! In the end my insurance company have taken over so I didn't need him for this job but plan to ask him back for various repairs at home and office. He seems very knowledgeable and is very helpful and friendly. Thanks Phil!